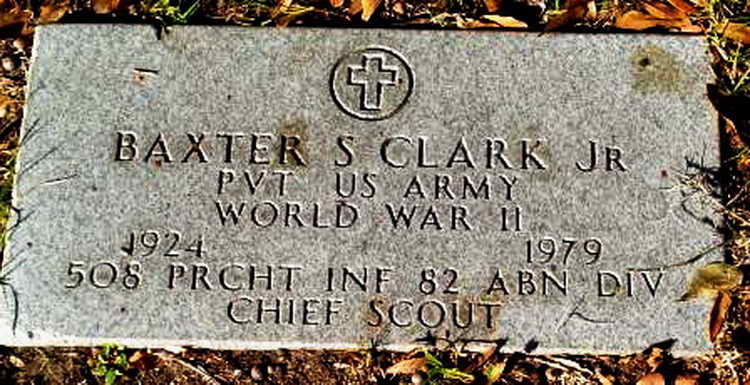 Grave markers for Baxter S. Clark, Jr. in the Bloomingdale Community Cemetery, Bloomingdale (Hillsborough County), Florida. Baxter, a Tennessee native, enlisted in the Army at Ft. Oglethorpe, GA on August 26, 1943 and volunteered for parachutist duty. He was assigned to Company I, 508th PIR.